Saoirse Ronan is gorgeous as she strikes a pose on the carpet at the screening of her film Mary Queen of Scots held at the Kino International Movie Theater on Wednesday (January 9) in Berlin, Germany. 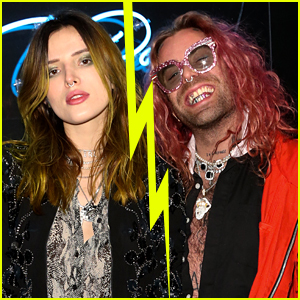 The 24-year-old actress was joined at the event by her co-star Maria Dragus, as well as the film’s director Josie Rourke. Saoirse recently revealed the horse she rides in the film was the “biggest diva” on set. “Yeah. Everything I did was for that horse, just to get his approval,” Saoirse joked. FYI: Saoirse is wearing a Miu Miu rose embellished dress, Sophia Webster shoes and earrings by Anabela Chan. 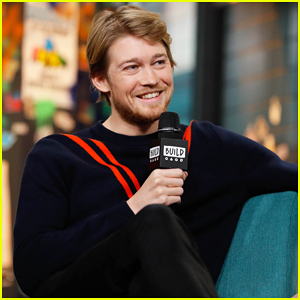 Joe Alwyn is all smiles as he sits down to promote his latest film Mary Queen of Scots at the BUILD Series studios on Tuesday (December 4) in New York City. The 27-year-old actor was joined at the event by his co-star Jack Lowden, as well as the film’s director Josie Rourke. The day before, Joe made an appearance on Live With Kelly and Ryan and revealed nearly starred in Love Actually for the part of Sam, the lovestruck son of Liam Neeson‘s character. 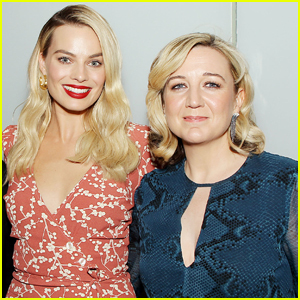 Margot Robbie & Director Josie Rourke Promote 'Mary Queen of Scots' in NYC! Margot Robbie is all smiles as she poses alongside director Josie Rourke as they attend a Q&A for their new movie Mary Queen of Scots on Wednesday (December 5) at the Elinor Bunin Munroe Film Center in New York City. The 28-year-old actress looked pretty in a peach-colored dress as she attended the event alongside her director. The night before, Margot and Josie joined the rest of the cast as they premiered their film in NYC. Mary Queen of Scots hits theaters on December 7 – watch the trailer here! Margot Robbie and Saoirse Ronan walk the red carpet at the Big Apple premiere of their movie Mary Queen of Scots on Tuesday (December 4) at the Paris Theater in New York City. 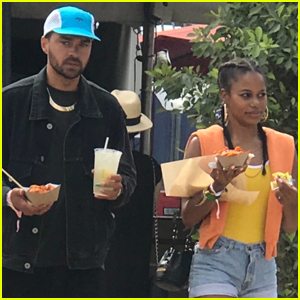 The ladies were joined by their handsome co-stars Joe Alwyn, Jack Lowden, and Ismael Cruz Cordova, as well as director Josie Rourke. Mamie Gummer and Claire Danes both stepped out to watch the film. This is a rare appearance for Saoirse on the press tour for this movie as she’s been in production on an upcoming project and unable to make it to most events. FYI: Margot is wearing a Chanel dress. Saoirse is wearing a Gucci dress. Saoirse Ronan and Timothee Chalamet walk the red carpet at the 2018 Governors Awards on Sunday night (November 18) at the Ray Dolby Ballroom at Hollywood & Highland Center in Hollywood. The former Lady Bird co-stars are both in the awards season mix once again! Saoirse was joined at the event by her Mary Queen of Scots director Josie Rourke while Timothee was joined by Beautiful Boy co-star Maura Tierney. FYI: Timothee is wearing Haider Ackermann. Saoirse is wearing a Calvin Klein 205W39NYC dress, Giuseppe Zanotti shoes, and Nikos Koulis earrings. Maura is wearing a Roland Mouret dress and Vram jewelry.